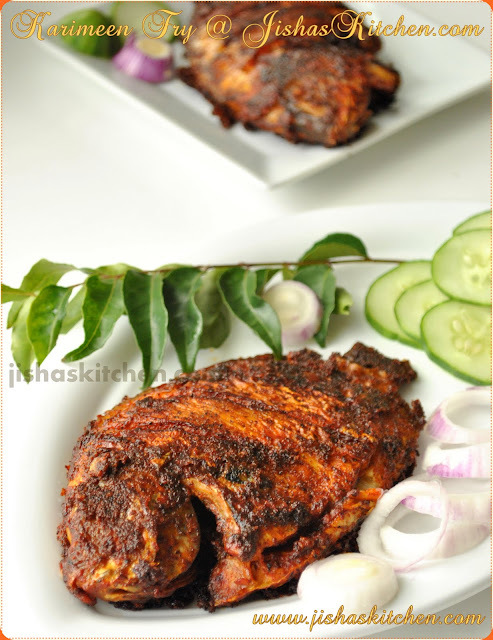 The recipe for today is my favorite chicken dish, Nadan Chicken fry / Kerala style chicken fry. This is not the usual chicken fry, where we marinate the chicken with the masala and then deep fry it in oil, but here we precook the chicken and then shallow fry it in oil. So the good things about this recipe are that it doesn't need much oil and also the fried chicken will be crispy on the outside and the inside will be juicy and tender. I got this recipe from one uncle who is working at my grand father's hotel back in Kerala and now a days all my family members prepares chicken fry in this way.. So here comes the recipe..
First wash and cut the chicken to medium sized pieces and then using a knife make 4-5 deep slits on each chicken pieces / drumsticks and allow it to drain. Then make a paste by mixing all the ingredients except chicken and oil by adding little water. Next marinate the chicken pieces with this paste and keep it covered in a refrigerator for at least 1 hour. Its best if you refrigerate it for about 4-5 hours. Then transfer the marinated chicken pieces to a pressure cooker and pressure cook the chicken without adding any water for about 2 whistles. When the pressure is fully released keep it uncovered in a low flame, till the gravy thickens and then allow it to cool and then using your hands mix the chicken nicely. Finally heat enough oil in a pan and add the chicken pieces in batches and fry it in a medium flame for about 4-7 minutes and then turn it around and continue frying for another 4-7 minutes or till its crispier on the outside and then transfer it to a paper towel. wow..simply superb mouthwatering recipe..love to have the whole! Nice yummy chicken fry !! Chicken fry looks amazing. Great preparation. Delicious chicken fry,looks so tempting and nice presentation too. Will give it a try Jisha.I think this is going to be a success here.The clicks are fabulous.Which camera you use ? Woow, no words to say..simply superb..
yum yum! !chicken looks delicious jisha! !lovely click! Perfect, lip smacking chicken fry!!! Looks so spicy n full of flavors! Gorgeous lovely pics! Nice chicken treatment here, the photos are so good I can almost smell it. Chicken fry looks amazing and nice presentation thanks for the post. Delicious and crispy chicken...yummm can imagine the explosion of the flavours of the Kerala cuisine that makes it truly outstanding. 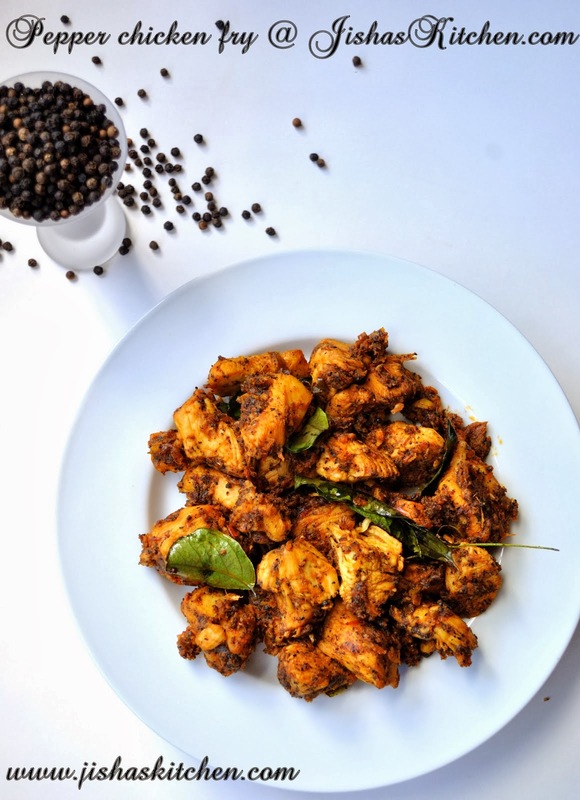 Adipoli chicken fry. looks delicious. Looks delicious. I like your snaps. Keep going! love chicken. never tried chicken in pressure cooker. sure is different.